Great news! 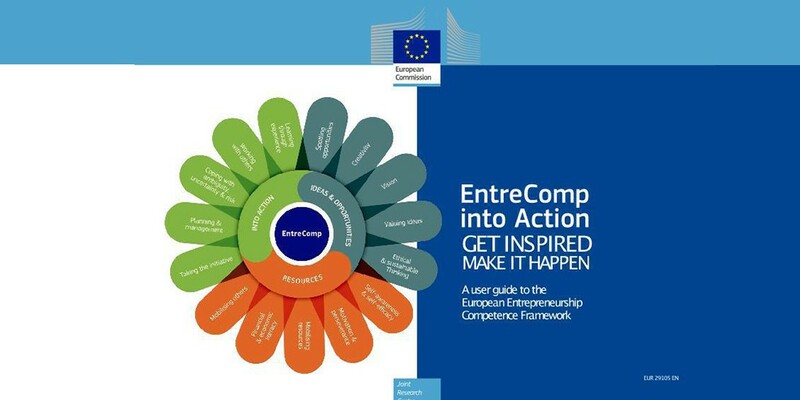 The EntreCompEdu project is featured in the newly published EntreComp into Action – Get inspired, make it happen: A user guide to the European Entrepreneurship Competence Framework. Find us as Case Study 11 (p.58-59) in the guide. The EntreComp user guide to help individuals and organisations explore why, when and how they can use EntreComp, the Entrepreneurship Competence Framework published by the European Commission in 2016.